Recently they have been releasing these tickets in blocks, it is worth checking Ticketmaster.fr on a regular basis to see if more come online ?. There’s a thread on this in the on the road section if that is any help ?. Tickets available on the pro ticket site at moment !. Block 305 has rows of seats together!. Maybe it's the way I'm trying to select them; but the site is showing loads of seats available in various zones.... but when you try select individual seats they are all blacked out/non selectable. Anyone recieved there final tickets yet ?. footrush wrote: Anyone recieved there final tickets yet ?. If it’s anything like previous years I wouldn’t expect them to be arriving until after the semi finals. Yep just getting a bit carried away, thanks Xan !. Hahaha - I know how you feel but I’m trying to keep it all under wraps at the moment for fear the mocker Gods are watching. Tickets printed off !. Least I’m certain it’s not Saracens v Toulon !. Any Idea how many tickets are being made available to leinster on Monday? What's the jist of the ticket lottery email (deadline/max tickets/pricing)? I thought I might get one as an associate member but I guess its STH's only. Hoping to canvas a few in the am if there is still time. awaaf wrote: What's the jist of the ticket lottery email (deadline/max tickets/pricing)? I thought I might get one as an associate member but I guess its STH's only. Hoping to canvas a few in the am if there is still time. 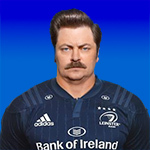 Theleinsterlad wrote: Any Idea how many tickets are being made available to leinster on Monday? An allocation of 3,200 for each finalist according to article in one of papers this morning. Significantly less than what finalists allocations used to be iirc. Seems like a very low allocation. Anyone know where in the ground the allocation is for ?. That's the problem with having either/both of Toulon and Saracens in the last 5 finals.... they've forgotten that a lot of other sides have higher demand for tickets. Saw a chiron on the telly I was passing by earlier that Fergus is out of the Connacht match with a hamstring injury. Hope he's fit for the final. He was immense on Saturday. No idea re location of the allocation but based on previous experiences they won't be great !! Stuck in the corner for the Twickers final but didn't care. Still will be happy just to be there ! !